This week is heavy on gaming and whenever I think I have everything noted, something else pops up. I apologize for the wait, without further ado, here are the new Releases This Week. The GWENT Public Beta is available starting May 24. Fans of The Witcher III: Wild Hunt demanded it and the game is finally here (sort of). GWENT is now a public beta available to PC, PS4 and Xbox One players. Previously it had only been in closed beta for PC players which infuriated console owners. Now gamers can start playing immediately by visiting playgwent.com on PC. On consoles, download the client directly through Xbox Live or the PlayStation Store. Embers of Mirrim launches May 23. R.A.G.E. Works has a full review here. Embers of Mirrim is available on PC via Steam, PS4 and Xbox One. The $19.99 MSRP is discounted by 10% through May 30. The first game to make a list two weeks in a row! Disgaea 5 Complete launched a demo on Nintendo Switch last week and the full release is here now. Originally known as Utawarerumono: Itsuwari no Kamen in Japan, Mask of Deception is a grand tale meant to enchant the hearts and minds of players in search of incredible journey. The game begins atop a snowy mountain where the protagonist awakens in an unfamiliar wilderness, surrounded by deadly creatures, with nothing but a hospital gown and a splitting headache. However, he's eventually rescued by a beautiful girl named Kuon, who sports both adorable animal ears and a beastlike tail. Finding that the hapless man has no memory of anything, Kuon decides to take the amnesiac into her care, naming him Haku. As their journey takes them across the land, Haku will (reluctantly) encounter colorful characters (yes, that means more animal people), build deep relationships, battle ruthless enemies, and find himself inexorably dragged into the political machinations of the mighty nation of Yamato. RiME is a puzzle adventure game with an unspoken narrative. You play the role of Enu, a young boy shipwrecked on an uncharted island in the Mediterranean. You must explore the wonders of the island and brave its dangers. The goal is to reach the top of the tower in the center of the island. 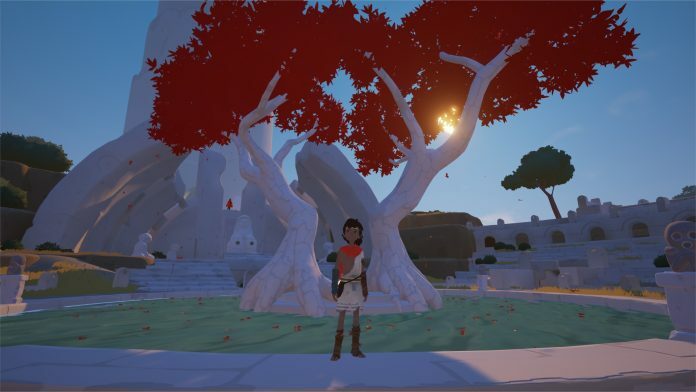 Tequila Works has said that the creation of RiME was a magical journey for them and they want the gameplay experience to be equally as magical for you. The game launches for PC, PS4 and Xbox One tomorrow (May 26, 2017) and is expected on Nintendo Switch in late August. Tomorrow, May 26th, you can get all the excitement of a game you played a million times over on every console since the Super Nintendo. Yes, Ultra Street Fighter II: The Final Challengers is coming to Nintendo Switch with TWO new characters (that are not actually new). Okay, I will stop bashing this. In all honesty, it will be great to have a fully portable, home version Street Fighter game on the Switch. The issue is will you pay $40 for a $10 title just to get two more characters? Aksys Games and Arc System Works proudly announce that Guilty Gear Xrd REV 2 is coming to North America on 5/26/17 as a standalone physical and digital release on the PlayStation®4 system. REV 2 will also be available as a digital upgrade via the PlayStation™ Network for Guilty Gear Xrd -REVELATOR- on the PlayStation®4 system and PlayStation®3 system. Guilty Gear Xrd REV 2 includes new fighters, moves, story chapters and more! It’s never been a better time to be a 2.5D brawler in the post apocalypse! Hone your skills with an eclectic cast of 25 insane fighters and prove your mettle as the ultimate fighting master. Friday the 13th: The Game is available on PC, PS4 and Steam May 26th – because Friday the 13th doesn't come back until October this year! Hugh Jackman's role as James Howlett comes to an end in this film. In Fox' adaptation of the Old Man Logan storyline, Wolverine cares for Professor Xavier until a young female mutant shows up. Needing his protection, The Wolverine heads into battle one last time. In 11th century China, two mercenaries from the West (Matt Damon and Pedro Pascal) are captured by a military organization that are headquartered in a fortress on the Great Wall. In time, the duo get caught up in a battle between the Chinese warriors and a supernatural menace that the Great Wall was built to repel. A young African-American photographer (Daniel Kaluuya) is nervous at the thought of meeting his white girlfriend's parents (Catherine Keener and Bradley Whitford) for the first time during a trip to the latter's country estate. However, his anxiety soon turns into outright terror when he discovers that the family's seemingly idyllic community is hiding a sinister conspiracy, one that involves the disappearance of several black people in the area. Jordan Peele, one half of the comedic duo Key & Peele, makes his directorial debut with this horror thriller. Originally from Africa, Mari McCabe (voiced by Megalyn Echikunwoke) grew up an orphan after her parents were killed by local greed, corruption, and wanton violence. But Mari refuses to succumb to the terrors surrounding her. Inheriting her family's Tantu Totem, Mari can access the powers of animals — anything from the super-strength of a gorilla to the speed of a cheetah. As Vixen, she fights valiantly to protect the world from the threats like those that claimed her family. The movie is Season 1 & 2 of the web series. We move on to theatrical films and I am somewhat surprised at the limited amount of promotion our first film received. I guess when you have money like The Rock, you just don't care sometimes. That does it for the New Releases This Week. Look for our next installment as there are big things happening next week!